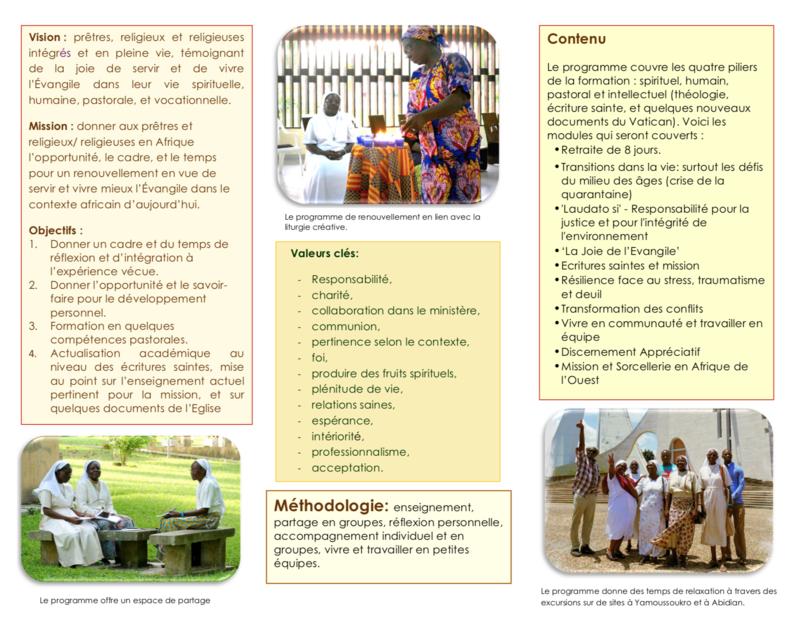 The Inter-Congregational Ongoing Formation (ICOF) Program has been initiated by the Union of General Councils of four Missionary Congregations working in Africa, namely: the Congregation of the Holy Spirit (Spiritan Fathers), the Missionaries of Africa (White fathers), and the Missionary Sisters Our Lady of Africa (MSOLA), and the Society of African Missions (SMA). In their meeting in December 2014, there was a concern shared by all members: there are many priests and religious in Africa who need ongoing formation but they don’t have access to it. The solution has been sending members to Europe or to America. 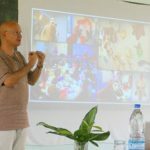 But this solution has inconveniences: it is very expensive; visas are becoming more and more difficult to obtain; and the training overseas is not always adapted to the African realities. They also noted that, in Africa today, there are more and more persons who are trained enough to facilitate ongoing formation for their fellow priests and religious, but they lack the forum for doing it. They end up sitting on their degrees and not utilizing them to the maximum. 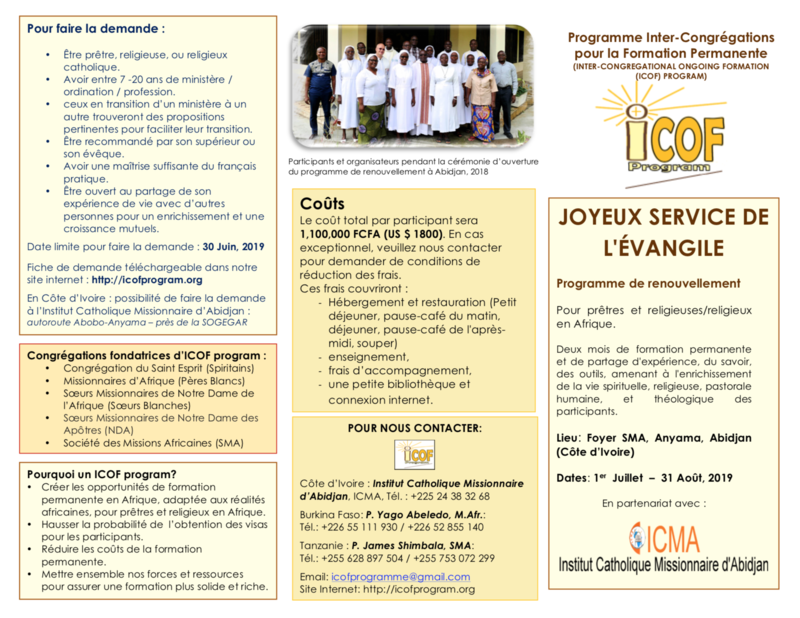 This union has formed the Inter Congregational Ongoing Formation (ICOF) Program, whose main objective is to make available opportunities for ongoing formation in Africa for priests and religious, both its members and members of the local churches (dioceses, local congregations and other congregations). The ongoing formation is focused on renewal of the participants. And the renewal is holistic, including the spiritual, the human, the pastoral, and the academic aspects of the person. 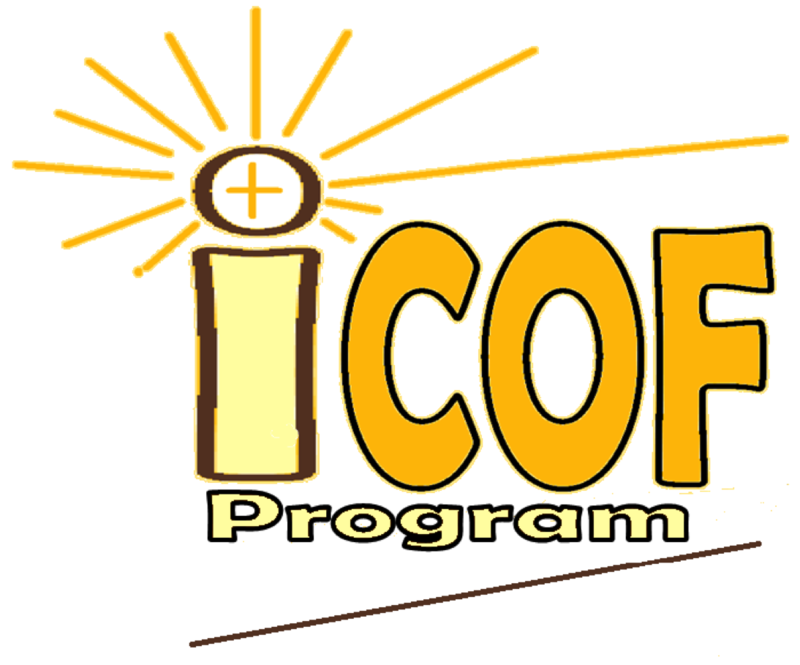 Joy-Filled Gospel Service is the first of the programs that ICOF is proposing. Other programs will include a 6 month sabbatical renewal, Leadership and Management for Catholic Missions and Institutions, Pastoral Counselling Skills, Community living and team working, updates in theology and in scriptures, Trauma awareness and Management, among others.